“We see Europe as leading the way in bio-based innovation. There is a much closer lens on renewable chemistry from consumers in the EU, which compels companies to act faster. In general, European corporations tend to be more progressive and take more of a longview perspective than those in the US”. To say it, in this exclusive interview with Il Bioeconomista, is Mike Hamilton, Ceo of Renmatix, a company based in Philadelphia (Pennsylvania, US), which is the leading technology licensor for the conversion of biomass into cellulosic sugar, an enabling feedstock for petroleum alternatives used in the global biochemical and biofuels markets. The company’s proprietary Plantrose process challenges conventional sugar economics by cheaply converting cellulosic biomass – from wood waste to agricultural residue – into useful, cost-effective sugars. With Hamilton we talk about Renmatix, Plantrose technology and bioeconomy. 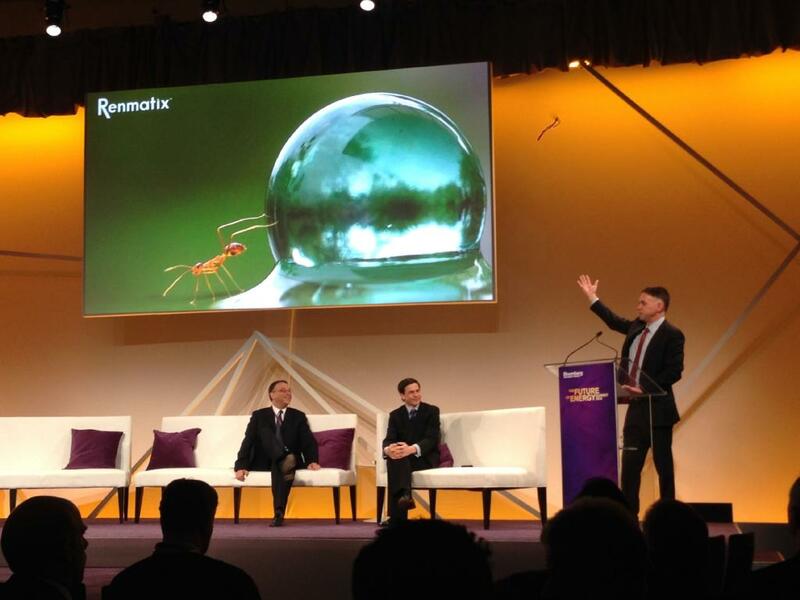 Mr Hamilton, first of all: how Renmatix technology is changing the economics of global chemicals and forestry industries? There are several ways Renmatix’s supercritical Plantrose technology is disrupting economics within the bioeconomy. Our Plantrose technology enables our partners to produce biochemical using renewable feedstocks converted into a sugar pathway, at cost parity with oil-derived routes. Renmatix Plantrose process is feedstock agnostic. It can be tuned to the characteristics of multiple feedstocks regardless of geography. It’s a standard and a benchmark that applies in multiple regions. Our process uses no significant consumables, which means low operating expenses. There is no ongoing cost from an enzyme stream or from acid recovery. In addition, with effective engineering, many customer facilities reuse our co-product fibers for energy. Are the reaction times fast? Yes, we have fast reaction times. Plantrose is different because it is a continuous process, versus batch processing, which creates a product in real time. Our technology will accelerate the use of lignocelluoisc biomass into bio chemicals, and by definition force the cooperation of the forestry and chemical industries. I see closer developments between both of these leading industries to serve the renewable material supply chains. And is your technology also cost competitive? Plantrose technology is also cost competitive with corn and cane with the first facility. Competing methods such as acid or enzyme hydrolysis can require greater time for reactions and processing – on the order of hours or days in many cases. They may also be limited to processing of a single feedstock, which limits the geographic frame of reference in which they can be applied while Renmatix’s Plantrose process is feedstock agnostic and thus globally scalable. Traditional routes also remain far more costly due to the expense and sensitivity of enzymes, or complex acid recovery methods. Renmatix Plantro sugars serve as the affordable intermediaries our industry-leading partners require to enable tomorrow’s clean alternatives to today’s conventional fossil fuel based products. Renmatix technology is particularly beneficial because it can serve as the bridge between upstream and downstream production. For instance, our partner UPM, a Finnish leader in pulp, paper, and forestry manufacturing, is using Plantrose technology to support its Biofore next generation technology strategy. Biorefineries using Renmatix’s Plantrose technology provide the potential to generate greater returns on invested capital than with customers’ core business activities alone according to customer business cases. From your point of view, is the European Union a real competitor for Canada, USA, Brazil and India, considering the lack of biomass in the Old Continent? Absolutely. 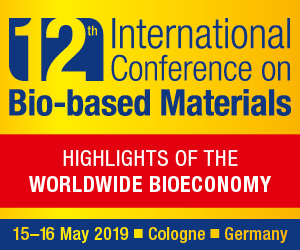 Some of the leading biomaterial innovation and support are from EU led companies, from UPM, BASF, DSM and TOTAL. The EU may not have the geographic size of Canada/US, but has the innovation technology and D/S processing assets (eg BASF with Ludwigshaven) – biomass efficiency is high in the EU, and there is plenty of biomass throughout central and Eastern Europe. Renmatix is able to serve customers operating in any global market that has advantaged local biomass feedstocks, or urban markets with stream separated municipal solid waste (MSW). Our relationships already span Europe, Asia and North America. From a pipeline perspective, we are seeing high demand from conventional industrial players who are investing time and energy in coordinating their manufacturing processes with our products, and we’re also benefitting from product pull-through originating with our customers’ customers. Consumer packaged goods companies such as Nestlé are leading the demand not only for bioplastics, but for renewable materials that extend across a multitude of applications including less visible substitution strategies, like the surfactants in laundry detergent or materials in popular clothing. How do you see the European bioeconomy from the American point of view? We see Europe as leading the way in bio-based innovation. There is a much closer lens on renewable chemistry from consumers in the EU, which compels companies to act faster. In general, European corporations tend to be more progressive and take more of a longview perspective than those in the US. 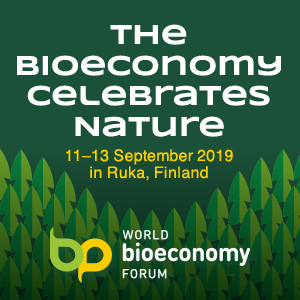 These factors translate to a high concentration of dollars and full time resources going into the bioeconomy in Europe. 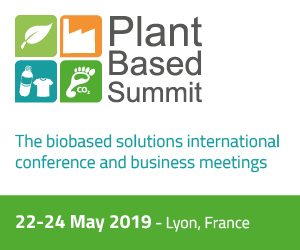 We fully anticipate that European actors will be industry catalysts, helping commercialize bio-based chemical and fuel technology in their global value chains.